This is a club triples competition which was held for the first time at Bromyard Leisure Centre in April 1999. 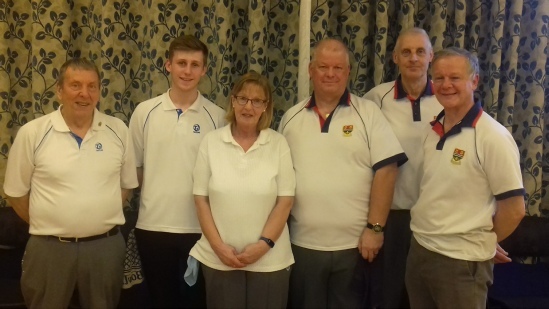 Short Mat bowlers from clubs in the joint association of Herefordshire and Gloucestershire were invited to play and 30 teams took up the challenge. Fownhope beat Corse and Staunton in the final in a very close game. This initial running of the event came at the end of the era of the joint association of Herefordshire and Gloucestershire. The increase in the number of short mat bowling clubs had made it possible for each county to establish their own association in the ESMBA. The competition continues as an HSMBA event in the new venue of the Larruperz Centre, Ross on Wye and has been renamed the County Triples Challenge Cup. Each county club is invited to enter one team and then, if necessary, numbers are made up to 16 entrants by inviting additional teams from those clubs entering.